Formed in 1974 by four students, "Lightshine" originated from the town of Emmerich in the lower Rhein area. Slightly out of their time, negotiations with Sky and Vertigo came to nothing, they didn't fit in with the new smoother progressive sounds of the mid-1970's, so eventually they decided to publish an album themselves. 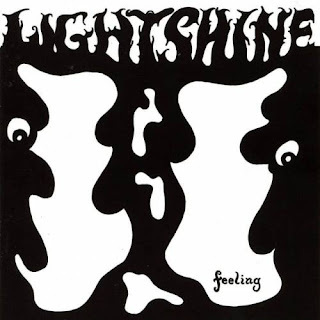 Unusually, "Lightshine" sounded very psychedelic for a band in 1976, their personalised brand of progressive rock was heavily inspired by British bands like 'Family' and 'Genesis', along with touches of early 'Jane', 'Eloy', or 'Satin Whale', but with a touch of Teutonic eccentricity, their twist on 'Peter Gabriel' type theatrics is highly original, and with complex arrangements and clever (sometimes very funny) songs, it all made for an enjoyable and inventive album. But, aside from getting enough interest to repress the album a year later, "Lightshine" never got above the ranks of support act to the likes of 'Hoelderlin' or 'Scorpions'. They disbanded in late 1977.